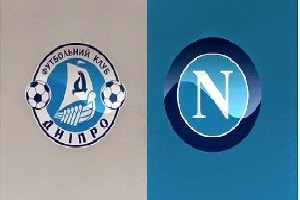 On Thursday Dnipro is facing Napoli in the second leg for UEFA. The first semi-final meeting ended 1:1. That was quite disappointing for Napoli. The possession of the ball was 65% for them and they played a lot better than their opponent. And even though Napoli was the better team Dnipro tied the game with an offside goal. By the way this was the only chance they had. Napoli played against Parma ( the worst team in Serie A this season ) yesterday and the game ended 2:2. The only reason for that result is that they keep their strength and best players for the upcoming game. This game is all or nothing for both participants,but the superiority of Napoli will make the difference.